What the Koran Really Says is a somewhat misleading title for Ibn Warraq’s book since the subject is not Islamic theology or Koranic exegesis. What this book is instead, is an anthology of articles dealing with various aspects of the Koran’s origins, history, linguistics, and textual criticism. For a number of reasons, the Koran has not been subjected to textual and literary criticism nearly as much as the Bible and the papers reprinted in What the Koran Really Says help to fill that lack somewhat. There are political and cultural reasons that the Koran has not been as thoroughly analyzed as the Bible, but one of the main reasons has to be the simple fact that the history and language of the Koran is far more opaque that the Bible’s. The text of the Koran is often very hard to understand, even by native speakers of Arabic and the way the texts jumps from subject to subject within every sura and even within paragraphs suggests a haphazard and complicated history of composition and editing. The Greek New Testament was written in the context of a highly literate culture with a historical and cultural background fairly well known to the historian. We know more about the events of the first century AD than about almost any other period in the ancient world. The Hebrew Old Testament is older and the circumstances of its composition are somewhat more obscure, but Palestine or Israel is on the cross-road between Asia and Africa and we can gain a fairly accurate idea of the history of the region from the records left by the Egyptians and the various Mesopotamian states, not to mention from the Israelites themselves. The Koran, on the other hand, was created by a semi-literate people who lived on the fringes of the major civilizations of the time. We have few records of the Arabian Peninsula during the time of Mohammed and for the first century of the Islamic era, beyond traditional Muslim accounts that are difficult to verify. It is possible that almost everything that is said about the composition of the Koran, including the time and place it was revealed, is untrue and in fact, we cannot be certain that Mohammed actually existed or if he did the deeds attributed to him. The language of the Koran is Arabic, but again, many words in the text seem to have been derived from other Semitic languages, and it is not always whether the dialect is that of the Bedouins of central Arabia, as tradition states, or perhaps the language is closer to that of Northern Arabia, where the speakers might be more influenced by Syriac or Aramaic. The articles presented in What the Koran Really Says deal with these questions and more. They are all very well done and thorough, however they are also intended for an audience of scholars and, as a layman, I sometimes had trouble following them. I think someone more knowledgeable of Arabic grammar and the text of the Koran would get more out of this book than I would. As it is, my attention wandered while reading about the fine points of grammatical constructions or the precise meaning of a sentence. The best and most interesting portions of this book were the introductions written by Ibn Warraq himself and I think he would have done a better service to his readers by writing a book which summarized and explained the arguments found in the various articles. Still, I cannot complain if the book is not for me. I am certain that any scholar who wishes to study the origins and development of the Koran will find What the Koran Really Says to be a valuable resource. Have You Read The Quran? (americanjihaddefense.com) Yes I have. Many times in fact. Although skeptics and scholars have been exploring the concept of the “historical Jesus”, that is the “real” Jesus behind the figure in the Gospels, for some time now, few have been willing to examine the “historical Mohammed“. Most likely the reason for this has been a combination of fear and the simple lack of solid historical information on the early years of Islam. The investigator of early Christianity has the advantage, first that no church will issue a fatwa calling for his death, no matter how skeptical he is, and second, although historical information about Jesus of Nazareth outside the New Testament is rather scanty, we actually know quite a lot about first century Judea. 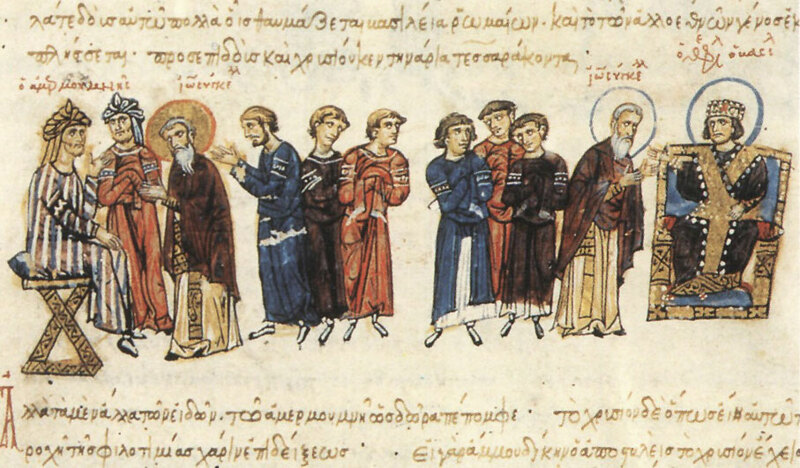 The early Christians lived in a relatively literate culture and the earliest writings about Jesus were produced within a generation of his death. The same cannot be said of the early Moslems, who lived in a largely illiterate backwater. As far as anyone can tell, the Koran did not take shape until several decades after Mohammed’s death. The earliest writings about Mohammed were not written until more than a century later. The first biography of Mohammed was written by Ibn Ishaq about 130 years after his death. The Hadiths were not written down until about 200 years after his death. So, there is not much information available to confirm or reject the tradition Islam view of Mohammed’s life and teachings. Added to that, scholars who inquire too closely or skeptically about such matters are apt to find their lives in danger, and the Saudi government seems determined to see that no archaeological evidence of Mohammed’s time survives. 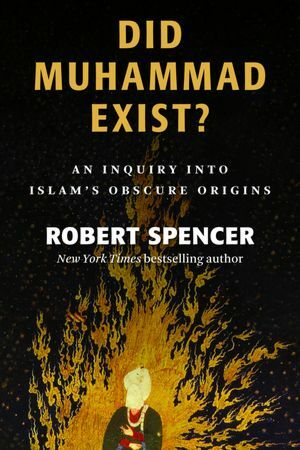 Therefore, Robert Spencer, is doing us all a great service by peeling back the layers of legend and tradition to get at the historical Mohammed, in his latest book, Did Mohammed Exist?. As the title suggests, Spencer has good reason to suspect that Mohammed, at least the supposed founder of Islam, did not, in fact, exist. I hope that Spencer has the very best security personnel working for him. I have not yet read this book since it is not available on the Kindle. I hope it will be very soon. If not, I might have to order the hardback edition. Since I have not read it, I will have to refer you to Zombie’s excellent review on PJMedia. 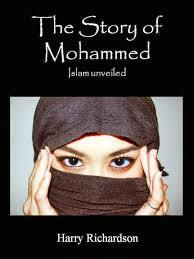 I’ll quote a few excerpts but you really have to read the whole thing, then go and get Did Mohammed Exist? 5. The first biography of Muhammad, written by Ibn Ishaq over a century after Muhammed’s lifetime, on which all subsequent biographies are based. Over the course of 200 pages, each category is carefully examined for solid evidence of Muhammad’s historicity, and each category is found wanting. Of particular interest to a skeptic like me is the first category, because it is the only one that counts as a truly independent source. I simply assume that Islam, like most religions, boasts sacred texts which are self-referential and self-confirming (turns out I was wrong, but more about that later). So: What did non-Muslims have to say about Muhammad and Islam, during his lifetime, and for 60 years afterward? They made no mention of Muhammad or Muslims or Islam at all, at least until around the start of the 8th century. In case you’re thinking that there’d be no reason for outsiders to mention the religion of some obscure far-off tribe, remember that starting with the date of Muhammad’s purported death in 632, Arabs galloped out of the desert and conquered or captured almost the entirety of the Near East, the Middle East and North Africa in just a few decades. They encountered many cultures and civilizations, but none of those conquered peoples seem even to have heard of Islam or Muhammad. Now remember, Tacitus refers to the Christians being persecuted by Nero in the 60’s AD, within 30 years of the death of Jesus. Josephus mentions Jesus in his Antiquities of the Jews, written around AD 94. The passages are disputed and almost certainly in part an interpolation, still most scholars believe they are, in part, genuine. The fact that there is no written mention of Mohammed 60 years after his death is suspicious. Imagine debating a “Christian” about religion, and he never mentions the Bible, Christianity, or Jesus. You might begin to doubt that he was a Christian at all. And, jumping to the book’s conclusion, that’s exactly what Spencer posits: That the 7th century Arabs may have practiced a sort of nonspecific monotheism, loosely syncretized from pre-existing Judaic and Christian beliefs; but this new religion at first did not have a name, did not have a supposed “founder,” did not have a sacred text, and did not have rigid rituals. All of those were added much later, but fashioned in such as way as to retroactively assert their own 7th-century origins. Did Muhammad Exist? is essentially one big hoisting of Islam by its own petard. A religion that purports to be “revealed,” and perfect and unchanging from its inception, has a serious burden of proof; but as Spencer shows, Islam fails to supply that proof. While the book goes into great detail about the literary and philological evidence for and against Muhammad’s existence, some readers may ask themselves, “But what about the archaeological evidence?” Unfortunately, Spencer does not address that side of the argument, primarily because there’s basically nothing to say: The Saudi government (as well as the Islamic Waqf controlling the Temple Mount in Jerusalem) has gone to great lengths to suppress or destroy any archaeological remains which might shed light on Islam’s earliest days. All the legendary sites associated with Muhammad in and around Mecca and Medina have been intentionally and irretrievably disturbed, eradicated and/or built over, so any rigorous archaeological investigations confirming or undermining Islam’s origins are now impossible. One suspects that the Saudis have obliterated Mecca’s history intentionally, fearful that impartial evidence may undermine Islam’s various historical claims. While this is not a significant omission, the book’s argument would have been slightly strengthened if this confirming detail had been discussed, if even for just a paragraph or two. Did Muhammad Exist? is a popular book for a popular audience. Put another way: Spencer makes no claim to have uncovered original research. All he has done, yet done quite effectively, is marshall the findings of dozens of scholars from the last hundred years, including people like Günter Lüling, David Margoliouth, Patricia Crone, and most notably Christoph Luxenberg, the philologist whose recent work challenging the very linguistic basis of the Qur’an as an Arabic document has caused such a sensation that for his own safety he must work under a pseudonym. Spencer draws all these threads together to make a convincing case that, when one examines all the evidence these experts have uncovered and ponders all the theories which might explain that evidence, the currently dominant theory (that Muhammad existed) is the least likely to be true. Much more in line with the known facts is the theory that Islam slowly coalesced from earlier monotheistic Judeo-Christian beliefs, and that most of the historical details about the evolution — including and especially the existence of a prophet from Mecca — were later concocted to retroactively give a veneer of official sanctity to the new religion. There is no controversy when scholars examine the historicity of Jesus. Biblical archaeologists work freely, with no danger to their persons or their careers. Even if some literalist Christians find the scholarly conclusions distressing, no death threats are issued. Christianity has survived all critiques of its origins, relying on the strength of its message and not the provability of historical details. One would hope that Islam reacts similarly. I am going to have to get this book. Although China has become one of the great exporting powerhouses and generally imports made in China are of decent quality, the Chinese have had occasional trouble with defective or tainted products. Nothing made in China could cause as much controversy as defective Korans, as this article from Jihad Watch relates. Iran’s Organization of the Holy Quran is scolding Iranian publishers who’ve outsourced production of the holy book to Chinese printers. There is officially a cheap Chinese knockoff of everything. Apparently, their copies of the Quran are riddled with typos, according to the Tehran Times. “These tableaus are made quite cheaply in China but are sold for much more than they are really worth to make that much more profit,” said an official with the organization who monitors and evaluates Qurans available in Iran. The official even urged importers to halt future Quran shipments from China, the Times reported…. They should look on the bright side. I doubt if the Chinese Korans tell people “Thou shalt commit adultery” like the Wicked Bible does.